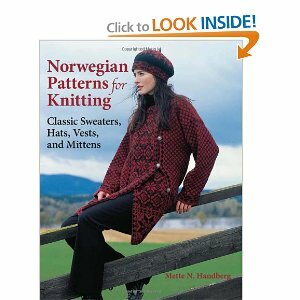 I just got the book Norwegian Patterns for Knitting by Mette N. Handberg (yes another) in the mail a couple of days ago. I had pre-ordered this last winter, and was anticipating it’s arrival. 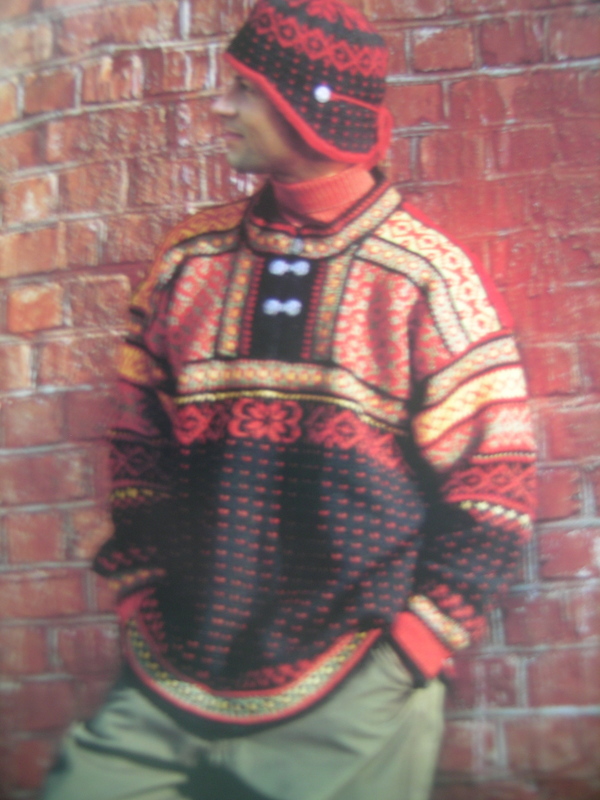 The author is the person who designed the Polar Bear Sweater that I knit, and one of the first fair isle sweaters that I made for my husband years ago (which is how I came to own DON Pattern book #79 long before it was commanding $500 on eBay). 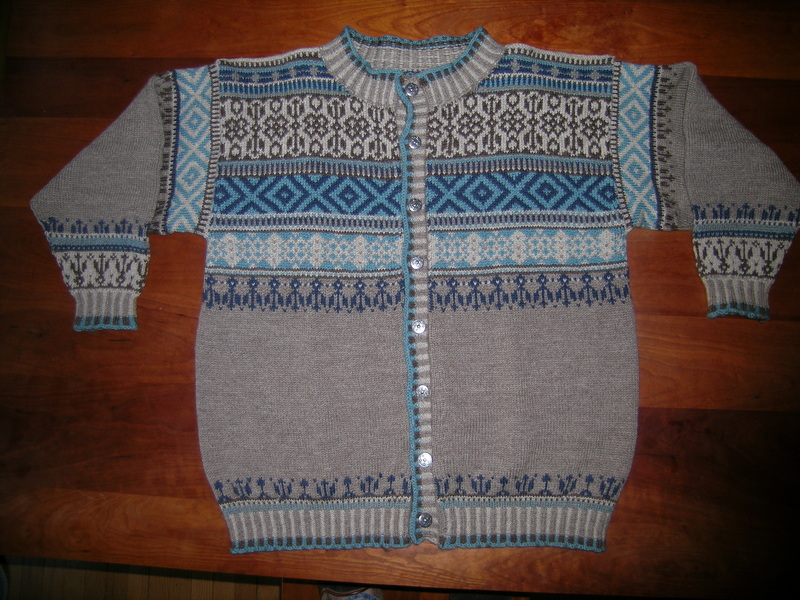 The first sweater that I am anxious to make is listed as a Man’s sweater, but I think that it would look great on me. Hard to believe that there are only 4 colors used in this pattern. I apologize for the fuzziness of the photo. I need to take lessons on how to better use my camera. On the knitting front, I am almost finished with the Vernal Equinox Shawl. I am hoping to block it tomorrow, so will save a photo until it is finished. Shawls on the needles just look like a messed up bunch of knitting. It is the blocking that brings out the beauty. 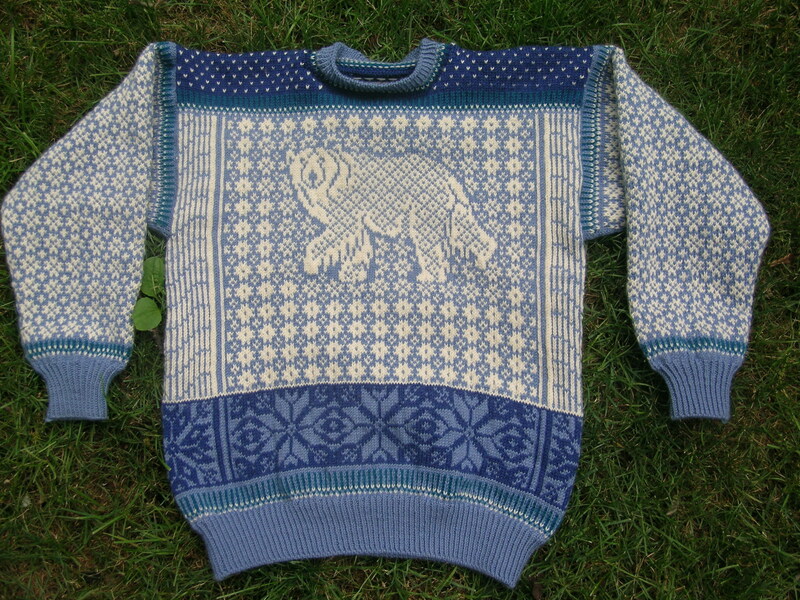 Love the polar bear sweater and want to knit it for my granddaughter. Can you tell me where to get the pattern or book? You can also see more of my sweater in this post.